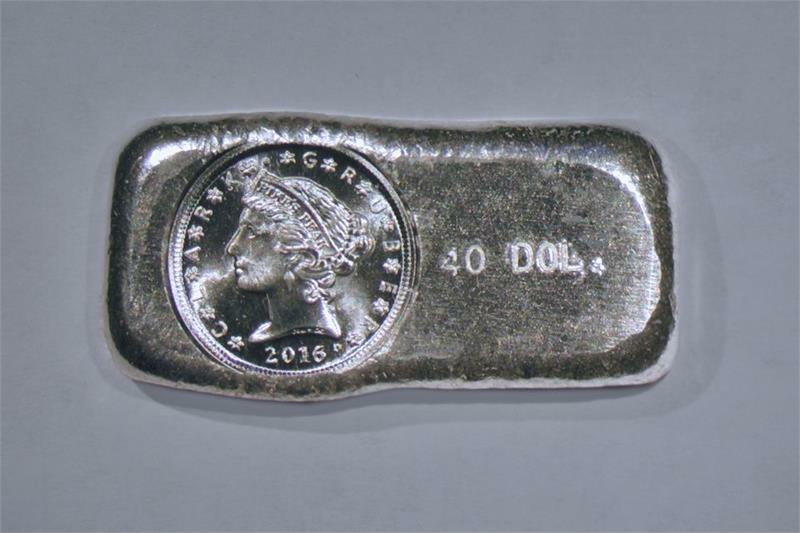 Hand-poured 1-troy-oz 999+ silver bar, freshly refined to high standards. 37mm x 18mm x 4mm (varies). Stamped on a surplus Denver Mint Grabener coin press using 16mm round Clark Gruber die. Front imprinted with round Clark Gruber die and nominal denomination "40 DOL.". 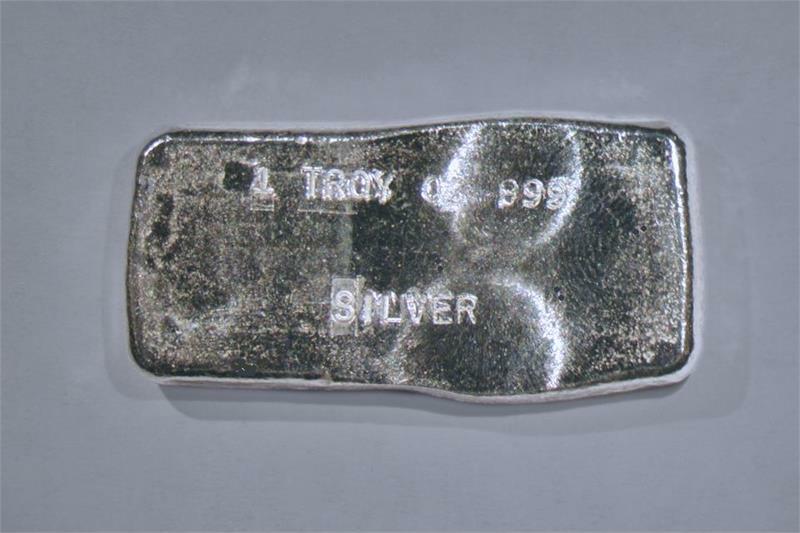 Back marked "1 TROY OZ 999 / SILVER".